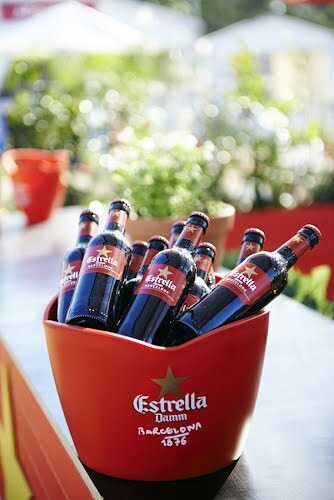 Creative concept, design, build and production. 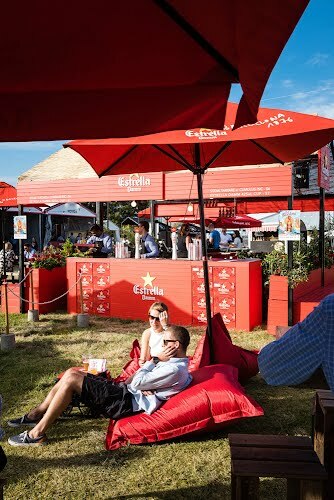 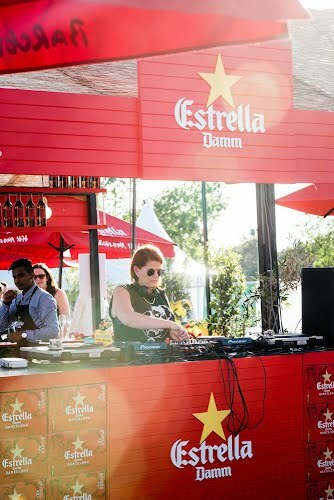 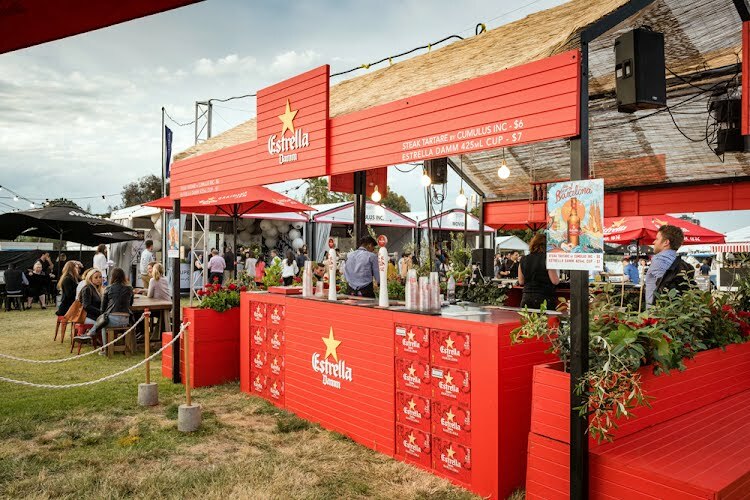 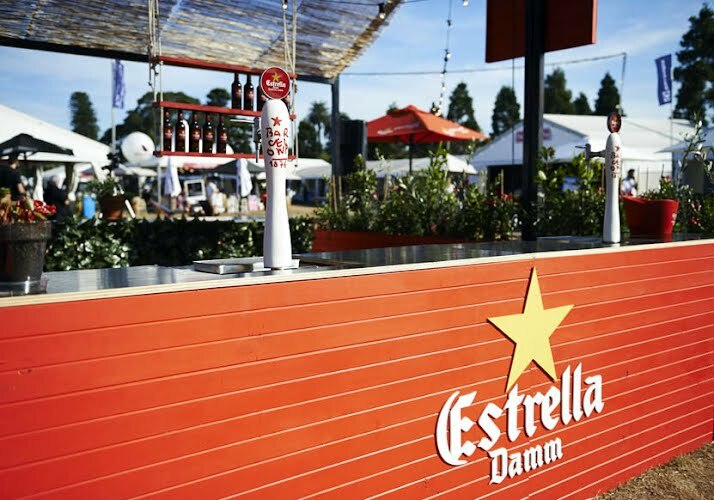 Asahi Premium Beverages engaged Moth to design and produce an event activation for Estrella Damm at Taste Festival. 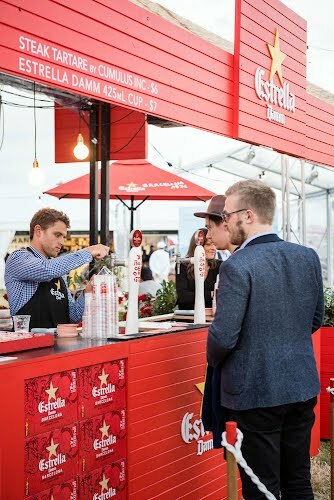 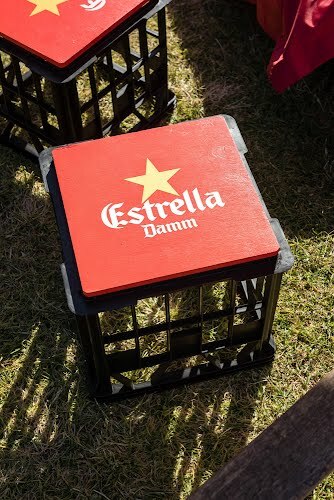 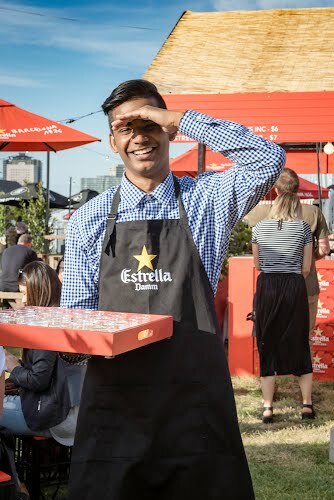 Estrella is a premium lager from Barcelona, a genuine import from the iconic, cultural city and Moth sought to harness a little of that festive Barcelona vibe and bring it to Sydney and Melbourne this year. 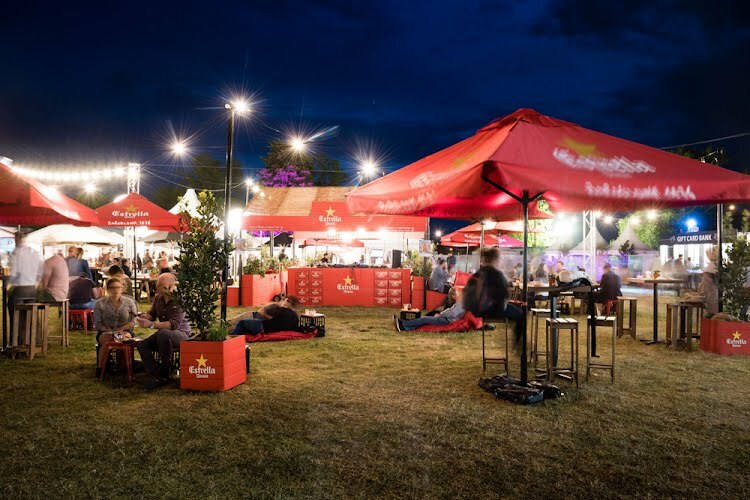 The vibrant red of the brand immediately sets the scene with custom built elements and solid timber hire furniture that draws visitors in to relax and enjoy the live DJ set. 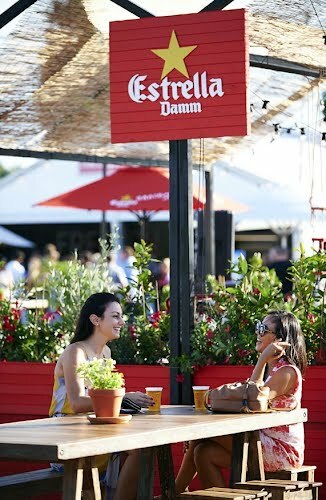 Dappled light from the overhead bar screens and large umbrellas provided shade throughout the day while festoon lighting lit the space from twilight. 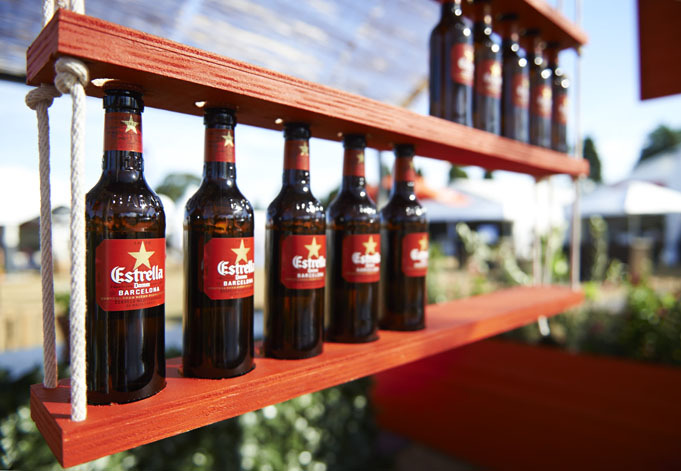 Greenery inspired by more arid regions adds texture and smaller ‘pops’ of red.